You probably hate the sound of your own voice when you hear it through a microphone or a recording. Well there is good news - and a little bad. The bad news is that your voice sounds exactly like the recordings. The good news is no one finds the sound of your voice as weird as you think. So why do we hate our own voice? For a better understanding, we need to first look at how we process sound. Sound is a set of vibrations that spreads through gas, liquids or hard objects. 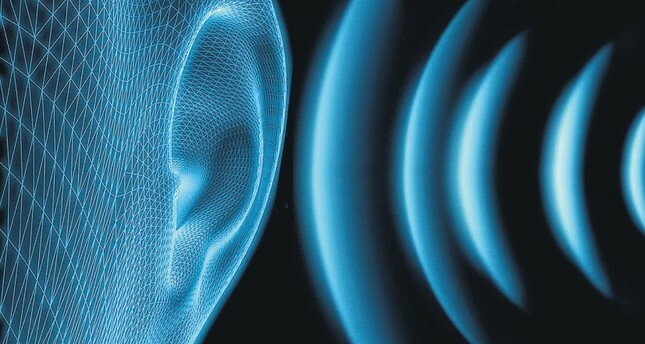 Our ears detect the vibrations as they move through the air. These vibrations first reach our ear canal and move onto the eardrum and the ear's three bones, called ossicles, located in the middle ear causing them to vibrate. The vibrations move through the fluid in the spiral shaped inner ear known as the cochlea and cause the tiny hair cells located there to move. The hair cells detect the movement and convert them into chemical signals for the cochlear nerve which then sends the information to the brain with electrical impulses where they are interpreted as sound. However, when we speak this process is different; we hear our own voice both through our jawbone and the vibrations in our skull, which alters our personal perception of our voice. But why do we hate our voice when we hear it through other mediums? The simple answer is psychology. We are accustomed to our voice as we hear it every day and believe it sounds the same to others. Interestingly, this phenomenon is not unique to our voice. If a person refuses to look in a mirror for six months, a glimpse of their own reflection after such a long period of time will seem foreign and strange as well.